Those who engage in the ufological circus. “Are these self proclaimed experts in Unidentified Flying Objects mad? No, I don’t think so, at least when we talk about the Easy Money Ufologists. Let me analyze the process of “insanity” in the career of self proclaimed experts in UFOs, Extraterrestrials, conspiracy theories and similar tricks of the UFO Industry. Let’s consider an intelligent individual who “discovers” the UFO myth, and in the beginning believes in the UFO-ET hypothesis. Now, some of these new ufologists not only believe in the Flying Saucers folklore but also think in the possibility of making some money with it (and this includes some self-claimed UFO “abductees”). So, after reading some books written for his/her predecessors in the ufological pseudo-science and do some google, they try their hand with a book, a blog or lectures about UFOs and related Memes. After some time, the new professional ufologists learn that some things sell more than others, and this market law has nothing to do with truth. To leave a subculture run by charlatans, crooks and maniacs, or engage in the despicable game. Of course, if the neo-ufologists are sane, they have learned already that practically the whole UFO mythology is a great quackery. Just fiction sold as truth. Repeated unsubstantiated non-events, nonexistent sources, and total disrespect for those who want to believe. They must choose to leave or remain in the “show”. The future decision is based on personal ethics … or lack of ethics. 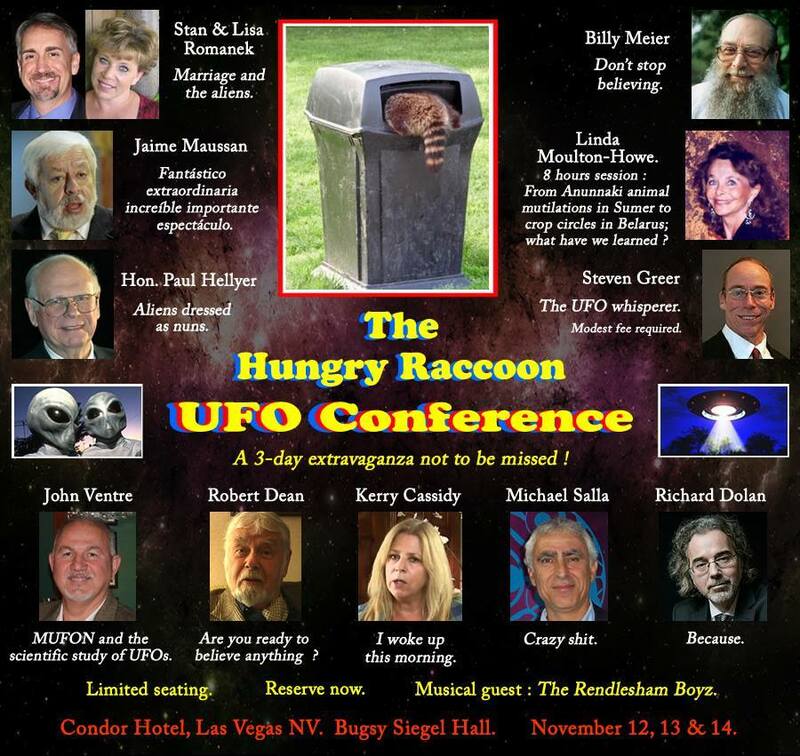 If they remain in the ufological circus, perhaps they can make some easy money, but there are prices to pay. Cognitive dissonance is one of the consequences of this self-denial. Someone should write about the sad personal stories of many who chose to remain in the company of charlatans and hoaxsters. The Internet has revolutionized how information as well as misinformation can be accessed instantaneously. For many gullible folks among a segment of the society (and there are many such folks in the so-called UFO Community), the Internet has become a cesspool of totally unfounded “facts” created by hucksters and hoaxsters so much so that even college-educated folks seem to fall into it. Such hucksters and hoaxsters have become so skillful in their “art forms” that it is becoming harder and harder for many folks to distinguish what is true information and what is misinformation. Also add to all this those who are propagating the UFO Industry, i.e., some authors, some UFO talk show hosts and many UFO Conference promoters. Conference promoters sell booths to many vendors (the vast majority of the vendors are propagators of the so-called New Age movement and are vendors of New Age books and trinkets such as crystals, miniature pyramids, fortune telling paraphernalia, New Age DVDs, ad nausem). Conference speakers (not only UFO “experts” but also some self-claimed “abductees” and “experiencers”), in turn, get their own booths in order to sell their books (by and large dubiously “substantiated” UFO books), DVDs, etc. etc. ad nausem). It’s basically all about selling and selling. This is why it is called the UFO INDUSTRY. “The field of Ufology has failed to produce one concrete example of alien visitation, from any dimension. For many gullible folks among a segment of the society (and there are many such folks in the so-called UFO Community) the Internet has become a cesspool of totally unfounded “facts” created by hucksters and hoaxters so much so that even college-educated folks seem to fall into it. It is simply incredible how gullible folks “will see a glowing dot at night and think that they are seeing a craft or a Mega Structure in space….a group of these dots and they are seeing a fleet. A blurry image of Jupiter will make someone to claim that a huge green UFO was seen in that planet. Some of these same people will see from afar at night the lights of the back of a car or a police car’s flashing lights or a parked ambulance’s pulsating lights and will claim that they saw a landed spaceship, etc. etc. These same people will believe any conspiracy theory that you can imagine, or that some huge cover-up is hiding the “truth”. 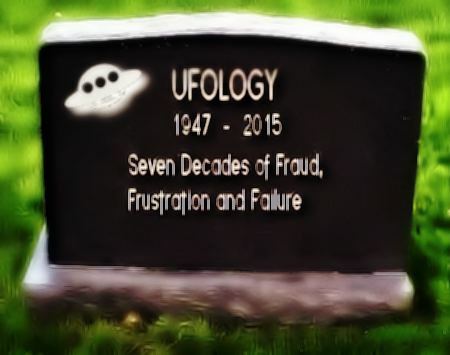 Ufology does not need any help from anybody to be a colossal joke. To the mainstream, it has been a huge joke for years now and will continue to be that joke unless ALL the myths and things that are not observable are discarded and systematic observation are placed in the center of it.” – – from Anonymous. Roswell (1947)….. Rendelesham (December, 1980)….. JAL Flight 1628 case over Alaska (November 17, 1986)….. the Socorro incident in New Mexico (April 24, 1964)….. Betty and Barney Hill (1961)….. Travis Walton (1975)….. 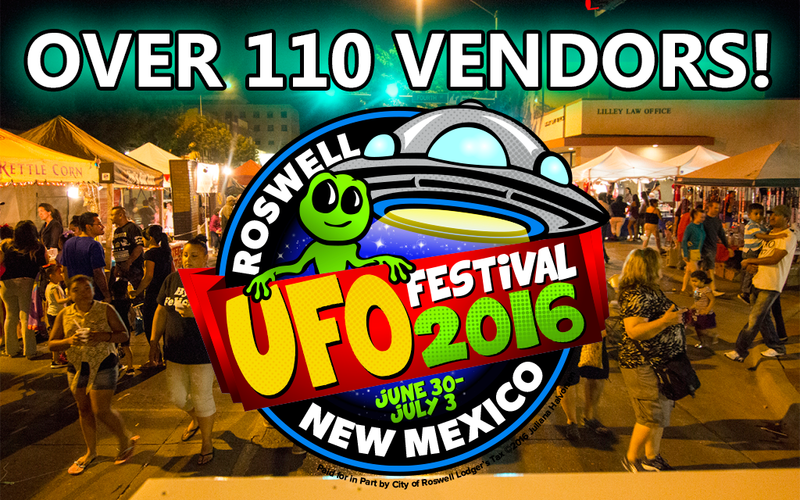 The Phoenix Lights (1997)…..etc., etc., ad nauseum. But no, we have not come up with any single physical, solid, hard, tangible, irrefutable evidence to conclusively prove that the UFO phenomenon is physical manifestation of physical extraterrestrial spacecraft (operated or manipulated and occupied by physical entities) from beyond this earth. Many people erroneously describe me as a UFO debunker. Well, they are absolutely wrong. 1) The UFO phenomenon seems to be real (as Dr. Jacques Vallee stated many, many times). 2) But let’s not jump into hasty conclusions as to what they represent (as Dr. Vallee stated many, many times). 3) Like the overwhelming majority of the world’s astronomers and scientists, I do not discount the possibility that we are not alone in the universe, even though we still have no definite, scientific evidence for it. 4) However, like the overwhelming majority of the world’s astronomers and scientists, I am skeptical when it comes to UFOs as conclusive evidence of physical extraterrestrial visitations. 5) Nevertheless, Ufology will always continue to be a worthwhile study not necessarily about UFOs and “Aliens” but about humans. It’s a cultural, social and psychological phenomenon as well. 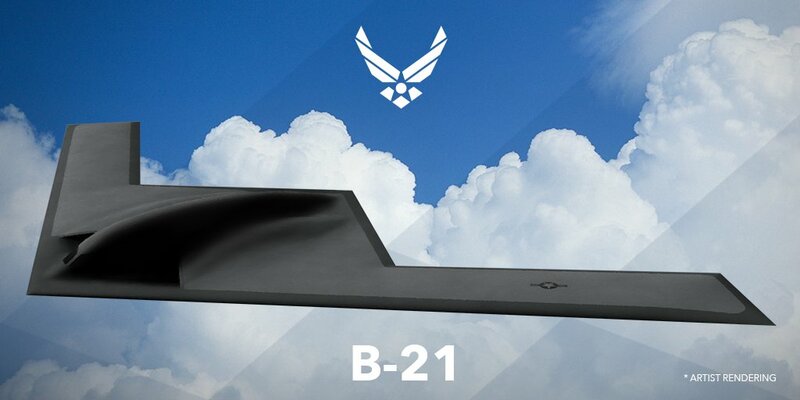 A little Pentagon contract announcement offers the latest indication of the course of the secretive B-21 program. The announcement last Tuesday of a $36 million modification to an existing contract is the key. 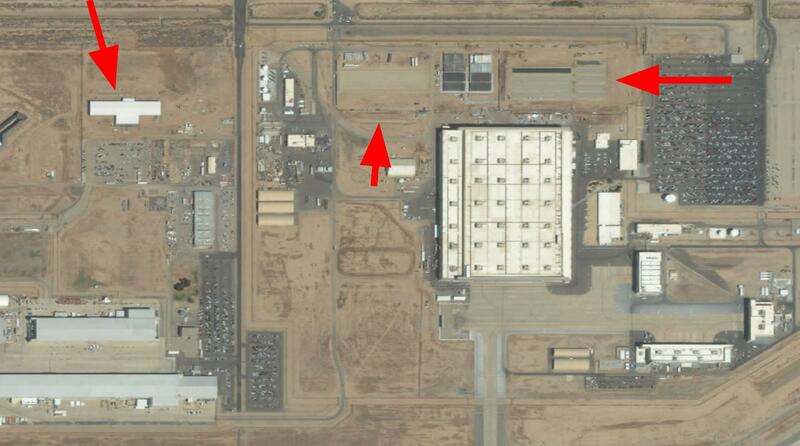 It’s for a new 45,900 square foot “coatings facility” at Northrop Grumman’s facility (former S-3 and S-4) at Air Force Plant 42 in Palmdale, CA. I’ve confirmed with a source that this plant is part of the B-21 program and that the facility would be key to stealth coatings for the plane. The Air Force plans to buy more than 100 of the long range strike aircraft and to pay Northrop $550 million a copy. Development of a stand-alone plant for coatings, presumably for stealth, highlights the importance of security to the program. 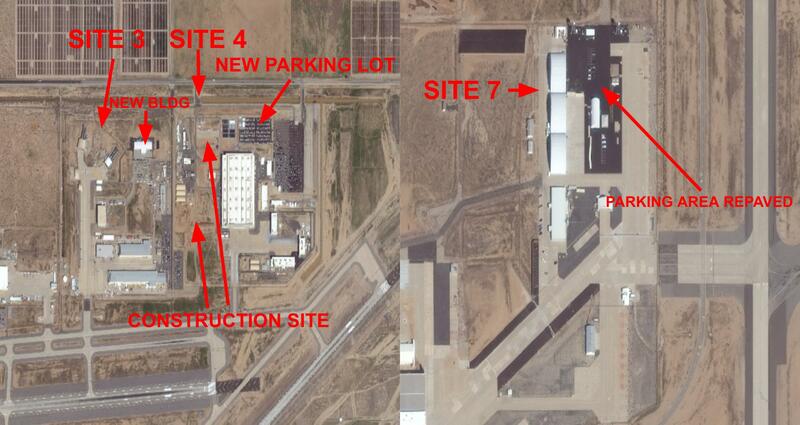 It’s also confirmation that the B-21 will be largely built and integrated at Palmdale, as most observers expected. 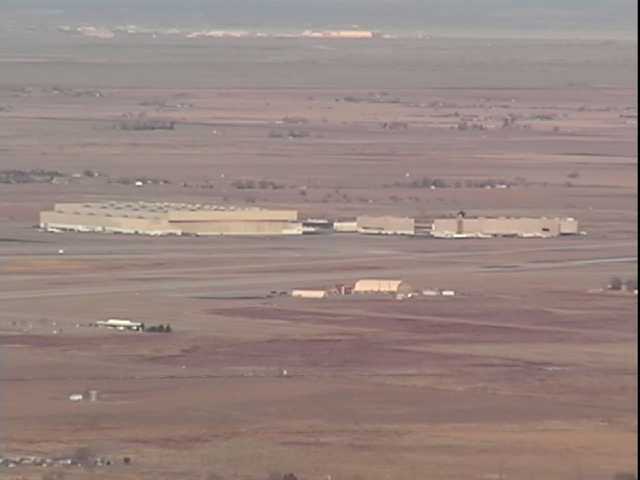 The bomber’s Initial Operating Capability (IOC) is supposed to come around 2025, which would allow five years from the opening of the coatings facility. Thompson notes that “initial coatings could be done elsewhere” to ensure the program stays on schedule but we just don’t know enough about the program’s details to be sure how relevant the new building will be to manufacture of the first few aircraft. IOC will be declared once the first B-21 is up and flying. The first 21 aircraft will comprise five batches of Low Rate Initial Production aircraft.